NYU WIRELESS researchers continue to push the understanding of wireless networks in an end-to-end perspective. Our faculty and students share expertise in fundamentals, ranging from radio channel propagation and antennas, circuits, networking, MAC and PHY layers, as well as expertise in fundamental areas of the network and application layer. Many NYU WIRELESS Initiatives focus on these areas, including open source software such as NYUSIM (now in use by over 75, 000 engineers who need realistic radio wave channel models from mmWave and THz ranges), and ns3 (where end-to-end 4G and 5G networks may be simulated in an open source manner), circuit device fabrication of quantum circuits, as well as the elaborate COSMOS experimental prototyping platform that is operating in New York City. COSMOS (cloud enhanced open and software-defined mobile wireless), is one of the first national testbeds awarded by the National Science Foundation (NSF) through the PAWR (Plaform for Advanced Wireless Access). We are building an operational experimental mmWave outdoor network in the upper west side, covering many blocks. 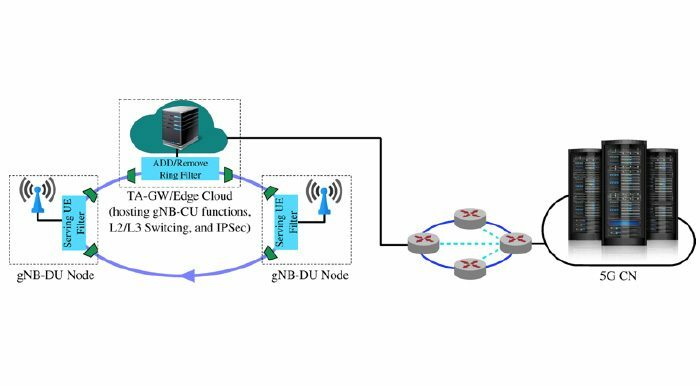 This is a major hardware-intensive network, that uses software-defined networking, and is available to our NYU WIRELESS Industrial Affiliates and other researchers interested in testing and proving their concepts for 5G, 6G and beyond. COSMOS is led by Rutgers WINLAB, Columbia University, and NYU WIRELESS, which is responsible for the millimeter wave network component. NYU WIRELESS’ participation in COSMOS comes after five more than five years of pioneering work in the area of millimeter wave communication that led to 5G. While NYU WIRELESS has pioneered research that has expanded the RF bandwidth and Carrier Frequency of mobile communications, while reducing communcations latency, the novel contribution that COSMOS brings is the addition of a third dimension of improvement to future wireless networks: computing. Bringing computing to the edge of the network, to the base stations themselves, and closer to the edge than traditional wireless, will lead to vast new capabilities in wireless networking applications. Whether it be mobile edge computing, autonomous driving, or cloud-based vision systems, the research teams in COSMOS platform will study these three dimensions and are providing a unique test bed to experiment with how these may interact with one another. The COSMOS program is one of the most ambitious test beds in U.S. universities today. It’s going to be 20 blocks of wireless area in the northern Manhattan, Columbia University area. COSMOS will compose around about a hundred nodes. Many of those nodes will be equipped with the latest cellular and wireless LAN technology, including vast fiber optic connections to COSMOS cell sites. The COSMOS platform will be open source and will allow both universities and industries to experiment with the advanced technologies of the future. Growing interest in mmWave communications has generated significant interest in open-source platforms for experimentation and validation of these systems that can be used by both academic and industrial research groups. However, designing mmWave experimental platforms is extremely challenging. The enormous data rates and requirements for very low latencies require platforms with very high computational power and highly-optimized data flows. Also, since the mmWave systems are in development, considerable customizability and flexibility is required. The goal of this project is to develop open-source platforms that can help researchers bring mmWave concepts to reality. E. M. Vitucci, J. Chen, V. Degli-Esposti, J. S. Lu, H. L. Bertoni, and X. Yin, “Analyzing Radio Scattering Caused by Various Building Elements Using mm-Wave Scale Model Measurements and Ray-Tracing,” IEEE Transactions on Antennas and Propagation; Vol. 67, No. 1, pp. 665-669, January 2019. S. Ju, T. S. Rappaport, “Millimeter-wave Extended NYUSIM Channel Model for Spatial Consistency,” in IEEE 2018 Global Communications Conference, Dec. 2018, pp.1-6. Y. Xing, T. S. Rappaport, “Propagation Measurement System and Approach at 140 GHz–Moving to 6G and Above 100 GHz,” in IEEE 2018 Global Communications Conference, Dec. 2018, pp.1-6. O. Kanhere, T. S. Rappaport, “Position locationing for millimeter wave systems,” in IEEE 2018 Global Communications Conference, Dec.2018, pp. 1–6. S. Ju, T. S. Rappaport, “Simulating motion – incorporating spatial consistency into the nyusim channel model,” in 2018 IEEE 88th Vehicular Technology Conference Workshops, Aug. 2018, pp. 1–6. C. Sleizak, M. Zhang, M. Mezzavilla, S. Rangan, “Understanding End-to-End Effects of Channel Dynamics in Millimeter Wave Cellular”, IEEE SPAWC 2018. T. S. Rappaport, “5G Millimeter Wave Wireless: Trials, Testimonies, and Target Rollouts,” IEEE Infocom Keynote Presentation, Honolulu, Hawaii, April 16, 2018. M. Mezzavilla, M. Zhang, M. Polese, R. Ford, S. Dutta, S. Rangan, M. Zorzi, “End-to-End Simulation of 5G mmWave Networks,” in IEEE Communications Surveys & Tutorials. Apr. 2018. T.S. Rappaport, S. M. Perera, V. Ariyarathna, N. Udayanga, A. Madanayake, G. Wu, L. Belostotski, Y. Wang, S. Mandal, R.J. Cintra, “Wideband N-Beam Arrays using Low-Complexity Algorithms and Mixed-Signal Integrated Circuits,” in IEEE Journal of Selected Topics in Signal Processing. Apr. 2018. C. Herranz, M. Zhang, M. Mezzavilla, S. Rangan, J. F. Montserrat, “A 3GPP NR Compliant Beam Management Framework to Simulate End-to-End mmWave Networks”, ACM MSWiM 2018. T. S. Rappaport, S. Sun, M. Shafi, “Investigation and comparison of 3GPP and NYUSIM channel models for 5G wireless communications,” in 2017 IEEE 86th Vehicular Technology Conference (VTC Fall), Sep. 2017, pp. 1-5. S. Sun, G. R. MacCartney Jr., and T. S. Rappaport, “A Novel Millimeter-Wave Channel Simulator and Applications for 5G Wireless Communications,” 2017 IEEE International Conference on Communications (ICC), May 2017. S. Sun, H. Yan, G. R. MacCartney Jr., and T. S. Rappaport, “Millimeter Wave Small-Scale Spatial Statistics in an Urban Microcell Scenario,” 2017 IEEE International Conference on Communications (ICC), May 2017. G. R. MacCartney, Jr. and T. S. Rappaport, “Study on 3GPP Rural Macrocell Path Loss Models for Millimeter Wave Wireless Communications,” in 2017 IEEE International Conference on Communications (ICC), Paris, France, May 2017, pp. 1-7. C.N. 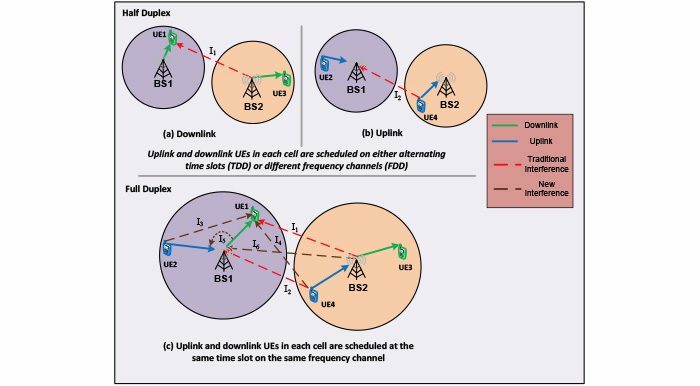 Barati, S.A. Hosseini, M. Mezzavilla, P. Amiri-Eliasi, S. Rangan, T. Korakis, M. Zorzi, “Directional initial access for millimeter wave cellular systems.” in IEEE Transactions on Wireless Communications, vol. 15, no. 12, pp. 7926-7940, Dec. 2016. G. R. MacCartney, S. Sun, and T. S. Rappaport, Y. Xing, H. Yan, J. Koka, R. Wang, and D. Yu, “Millimeter Wave Wireless Communications: New Results for Rural Connectivity,” All Things Cellular’16: 5th Workshop on All Things Cellular Proceedings, in conjunction with ACM MobiCom, Oct. 7, 2016. Symposium, Newark, NJ, 2016, pp. 1-2. M. Giordani, M. Mezzavilla, M. Zorzi, “Initial Access in 5G mm-Wave Cellular Networks,” to appear in IEEE COMMAG. M. Mezzavilla, S. Goyal, S. Panwar, S. Rangan, M. Zorzi, “An MDP Model for Optimal Handover Decisions in mmWave Cellular Networks”, Proc. IEEE European Conference on Networks and Communications (EuCNC), Athens, 2016, pp. 100-105. S. Deng, G. R. MacCartney Jr., T. S. Rappaport, “Indoor and Outdoor 5G Diffraction Measurements and Models at 10, 20, and 26 GHz,” 2016 IEEE Global Communications Conference (GLOBECOM), Washington, DC, 2016, pp. 1-7. M. Polese, M. Mezzavilla, M. Zorzi, “Performance Comparison of Dual Connectivity and Hard Handover for LTE-5G Tight Integration,” accepted at EAI SIMUtools 2016 conference, August 22 – 23, 2016, Prague, Czech Republic. M. Mezzavilla, S. Goyal, S. Panwar, S. Rangan, M. Zorzi, “An MDP Model for Optimal HO Decisions in mmWave Cellular Networks”, EuCNC ’16. S. Dutta, M. Mezzavilla, R. Ford, M. Zhang, S. Rangan, M. Zorzi, “MAC Layer Frame Design for Millimeter Wave Cellular System”, Proc. IEEE European Conference on Networks and Communications (EuCNC), Athens, 2016, pp. 117-121. M.K. Samimi, T.S. Rappaport, “3-D Millimeter-Wave Statistical Channel Model for 5G Wireless System Design,” IEEE Transactions on Microwave Theory and Techniques, vol. 64, no. 7, pp. 2207-2225, July 2016. M. Giordani, M. Mezzavilla, S. Rangan and M. Zorzi, “Multi-connectivity in 5G mmWave cellular networks,” 2016 Mediterranean Ad Hoc Networking Workshop (Med-Hoc-Net), Vilanova i la Geltru, Spain, 2016, pp. 1-7. M. Rebato, F. Boccardi, M. Mezzavilla, S. Rangan and M. Zorzi, “Hybrid spectrum access for mmWave networks,” 2016 Mediterranean Ad Hoc Networking Workshop (Med-Hoc-Net), Vilanova i la Geltru, Spain, 2016, pp. 1-7. M. Rebato, M. Mezzavilla, S. Rangan, F. Boccardi and M. Zorzi, “Understanding Noise and Interference Regimes in 5G Millimeter-Wave Cellular Networks,” Proc. IEEE European Wireless Conference, Oulu, Finland, 2016, pp. 1-5. M. Giordani, M. Mezzavilla, A. Dhananjay, S. Rangan and M. Zorzi, “Channel Dynamics and SNR Tracking in Millimeter Wave Cellular Systems,” Proc. IEEE European Wireless Conference, Oulu, Finland, 2016, pp. 1-8. S. Sun et al., “Propagation Path Loss Models for 5G Urban Micro- and Macro-Cellular Scenarios,” Proc. IEEE Vehicular Technology Conference (VTC Spring), Nanjing, 2016, pp. 1-6. S. Sun, T.S. Rappaport, T. Thomas, A. Ghosh, H. Nguyen, I. Kovacs, I. Rodriguez, O. Koymen, A. Partyka, “Investigation of prediction accuracy, sensitivity, and parameter stability of large-scale propagation path loss models for 5G wireless communications,” IEEE Transactions on Vehicular Technology, vol. 65, no. 5, pp. 2843 – 2860, May 2016. Fund F, Shahsavari S, Panwar SS, Erkip E, Rangan S. Spectrum and Infrastructure Sharing in Millimeter Wave Cellular Networks: An Economic Perspective, arXiv preprint arXiv:1605.04602. 2016 May 15. M. Zhang, M. Mezzavilla, R. Ford, S. Rangan, S. Panwar, E. Mellios, D. Kong, A. Nix, M. Zorzi, “Transport layer performance in 5G mmWave cellular”, Computer Communications Workshops (INFOCOM WKSHPS) 2016 IEEE Conference on, pp. 730-735, 2016. M. Giordani, M. Mezzavilla, C. N. Barati, S. Rangan and M. Zorzi, “Comparative analysis of initial access techniques in 5G mmWave cellular networks,” 2016 Annual Conference on Information Science and Systems (CISS), Princeton, NJ, 2016, pp. 268-273. S. Sun, G.R. MacCartney, T.S. Rappaport, “Millimeter-Wave Distance-Dependent Large-Scale Propagation Measurements and Path Loss Models for Outdoor and Indoor 5G Systems,” in the 10th European Conference on Antennas and Propagation (EuCAP 2016), April 2016. T.A. Thomas, et al., “A prediction study of path loss models from 2-73.5 GHz in an urban-macro environment,” in 2016 IEEE 83rd Vehicular Technology Conference (Spring VTC-2016), May 2016. S. Sun, et al., “Propagation Path Loss Models for 5G Urban Micro- and Macro-Cellular Scenarios,” in 2016 IEEE 83rd Vehicular Technology Conference (VTC2016-Spring), May 2016. G. R. MacCartney Jr., S. Deng, T. S. Rappaport, “Indoor Office Plan Environment and Layout-Based MmWave Path Loss Models for 28 GHz and 73 GHz,” in the 2016 IEEE 83rd Vehicular Technology Conference Spring (VTC2016-Spring), May 2016. M.K. Samimi, T.S. Rappaport, “Local Multipath Model Parameters for Generating 5G Millimeter-Wave 3GPP-like Channel Impulse Response,” in the 10th European Conference on Antennas and Propagation (EuCAP’2016), April 2016. M.K. Samimi, S. Sun, T.S. Rappaport, “MIMO Channel Modeling and Capacity Analysis for 5G Millimeter-Wave Wireless Systems,” in the 10th European Conference on Antennas and Propagation (EuCAP’2016), April 2016. M.K. Samimi, T.S. Rappaport, “Statistical Channel Model with Multi-Frequency and Arbitrary Antenna Beamwidth for Millimeter-Wave Outdoor Communications,” in 2015 IEEE Global Communications Conference, Exhibition & Industry Forum (GLOBECOM) Workshop, Dec. 6-10, 2015. C. Nicolas Barati, S. Amir Hosseini, Marco Mezzavilla, Parisa Amiri-Eliasi, Sundeep Rangan, Thanasis Korakis, Shivendra S. Panwar, Michele Zorzi, “Directional initial access for millimeter wave cellular systems,” 2015 49th Asilomar Conference on Signals, Systems and Computers, Pacific Grove, CA, 2015, pp. 307-311. C. N. Barati, S. A. Hosseini, M. Mezzavilla, P. Amiri-Eliasi, S. Rangan, T. Korakis, S. S. Panwar, M. Zorzi,“Directional initial access for millimeter wave cellular systems, Proc. IEEE Asilomar Conf. on Signals, Systems and Computers, Pacific Grove, CA, pp. 307-311, November 2015. G. R. MacCartney Jr., T.S. Rappaport, S. Sun, S. Deng, “Indoor office wideband millimeter-wave propagation measurements and channel models at 28 GHz and 73 GHz for ultra-dense 5G wireless networks,” IEEE Access, vol. 3, pp. 2388-2424, Dec. 2015. R. Gupta, B. Bachmann, A. Kruppe, R. Ford, S. Rangan, N. Kundargi, A. Ekbal, K. Rathi, A. Asadi, V. Mancuso, A. Morelli, “LabVIEW based Software-Defined Physical/MAC Layer Architecture for prototyping dense LTE Networks,” in SDR WInnComm, 2015. A. K. Fletcher, J. Viventi and S. Rangan, “Neural mass spatio-temporal modeling from high-density electrodearray recordings,” Proc. IEEE Information Theory and Applications Workshop (ITA), San Diego, CA, 2015, pp. 319-321. G.R. MacCartney Jr., T.S. Rappaport, M.K. Samimi, S. Sun, “Millimeter-wave omnidirectional path loss data for small cell 5G channel modeling,” IEEE Access, vol. 3, pp. 1573-1580, Sept. 2015. H. Shokri-Ghadikolaei, C. Fischione, G. Fodor, P. Popovski, M. Zorzi, “Millimeter Wave Cellular Networks: A MAC Layer Perspective,” IEEE Trans. Wireless Communications, vol. 63, no. 10, pp. 3437-3458, Oct. 2015. M. Mezzavilla, S. Dutta, M. Zhang, M. R. Akdeniz, S. Rangan, “5G mmWave Module for the ns-3 Network Simulator,” Proceedings of the 18th ACM International Conference on Modeling, Analysis and Simulation of Wireless and Mobile Systems. ACM, 2015. J. García-Rois, F. Gómez-Cuba, F. J. González-Castaño, J. C. Burguillo-Rial, M. R. Akdeniz, S. Rangan, “On the Analysis of Scheduling in Dynamic Duplex Multi-Hop mmWave Cellular Systems,” IEEE Trans. Wireless Communications, vol. 99, June 2015. M. K. Samimi, T. S. Rappaport, “3-D Statistical Channel Model for Millimeter-Wave Outdoor Mobile Broadband Communications,” 2015 IEEE International Conference on Communications (ICC), 8-12 June, 2015. G. R. MacCartney Jr., et al., “Exploiting directionality for millimeter-wave wireless system improvement,” in 2015 IEEE International Conference on Communications (ICC), pp. 2416-2422, 8-12 June 2015. T.S. Rappaport, G.R Maccartney Jr., M.K. Samimi, S. Sun, “Wideband Millimeter-Wave Propagation Measurements and Channel Models for Future Wireless Communication System Design,” IEEE Transactions on Communications, vol.63, no.9, pp. 3029-3056, Sept. 2015. R. Gupta, B. Bachmann, R. Ford, S. Rangan, N. Kundargi, A. Ekbal, K. Rathi, M.I. Sanchez, A. Oliva, A. Morelli, “ns-3-based real-time emulation of LTE testbed using LabVIEW platform for software defined networking (SDN) in CROWD project.” Proc. Workshop on ns-3 (WNS3 ’15)., Barcelona, Spain, May 2015. S. Rangan, “Millimeter Wave Wireless Networks: Potentials and Challenges”, Rutgers ECE Colloquium, March 2015. M. K. Samimi, T. S. Rappaport, “Ultra-Wideband Statistical Channel Model for Non Line of Sight Millimeter-Wave Urban Channels”, IEEE Global Communications Conference, Exhibitions & Industry Forum (GLOBECOM), 8-12 December 2014. C. Kim, R. Ford, S. Rangan, “Joint interference and user association optimization in cellular wireless networks,” Proc. IEEE Asilomar Conf. Signals, Systems and Computers, Pacific Grove, CA, Nov 2014. F. Gomez-Cuba, S. Rangan, E. Erkip, “Proc. IEEE Int. Symp. Information Theory (ISIT),” Hawaii, July 2014. C. N. Barati, S. A. Hosseini, S. Rangan, P. Liu, T. Korakis, S. S. Panwar, and T. S. Rappaport, “Directional Cell Search for Millimeter Wave Cellular Systems,” Proc. IEEE Signal Processing Advances in Wireless Communications (SPAWC), Toronto, Canada, pp. 120-124, June 2014. M.R. Akdeniz, Y. Liu, S. Sun, S. Rangan, T.S. Rappaport, E. Erkip “Millimeter Wave Channel Modeling and Cellular Capacity Evaluation,” IEEE J. Selected Areas in Communications, vol. 32, no. 6, pp. 1164–1179, June 2014. R. Gupta, T. Vogel, N. Kundargi, A. Ekbal, A. Morelli, V. Mancuso, V. Sciancalepore, R. Ford, S. Rangan, “Demo: LabVIEW based Platform for prototyping dense LTE Networks in CROWD Project,” Proc. Eur. Conf. Networking and Comm., Bologna, Italy, June 2014. S. Rangan, T. S. Rappaport, E. Erkip, “Millimeter Wave Cellular Networks: Potentials and Challenges,” Proceedings of the IEEE, vol. 102, no. 3, pp. 366-385, March 2014. Conference (VTC Spring), pp.1-6, 2-5 June 2013. T. S. Rappaport, S. Sun, R. Mayzus, H. Zhao, Y. Azar, K. Wang, G. N. Wong, J. K. Schulz, M. Samimi, F. Gutierrez, “Millimeter Wave Mobile Communications for 5G Cellular: It Will Work!” IEEE Access, vol.1, pp. 335-349, May 2013.
c Grove, CA, pp. 1594-1600, November 2013. R. Ford, “A Software Testbed for Simulation of Cellular Wireless Networks,” MSEE Thesis, 2012. T.S. Rappaport, “The Wireless Revolution,” IEEE Communications Magazine, 29 (11), November 1991, pp. 52-71.